It will remain in place through Thursday. 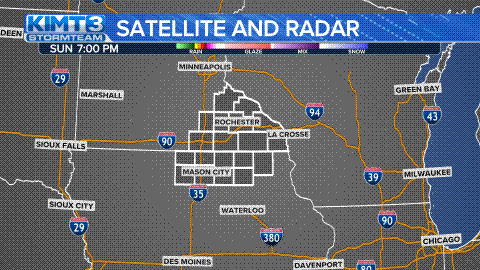 ST. PAUL, Minn. – An air quality alert is being extended to cover southeastern Minnesota. The Minnesota Pollution Control Agency (MPCA) issued the alert for the Twin Cities and central parts of the state at 2 pm on Tuesday. It has now been extended to the southeast and through 6 pm Thursday. The affected area includes the Twin Cities metro, Willmar, Hutchinson, Mankato, Albert Lea, Rochester, Winona, and the Tribal Nations of Prairie Island and Upper Sioux. The MPCA says stagnant weather conditions have led to a increase in fine particles in the air, posing a threat to people with asthma and other breathing conditions, people with heart disease or high blood pressure, children and older adults, and people doing heavy physical activity. When the air quality is unhealthy, people with these conditions may experience symptoms like chest pain, shortness of breath, wheezing, coughing, or fatigue. - Take it easy and listen to your body. - Limit, change, or postpone your physical activity level. - If possible, stay away from local sources of air pollution like busy roads and wood fires. - If you have asthma or other breathing conditions like COPD make sure you have your relief/rescue inhaler with you. - People with asthma should review and follow guidance in their written asthma action plan. Make an appointment to see your health provider if you don’t have an asthma action plan.